Jade crystal 10mm flat glass cube awards, 12.5cm tall, offered with laser etched text and logo engraving options. Buy these distinctive jade glass plaque awards online and get low, fixed-cost text engraving, free logo engraving and fast turnaround. 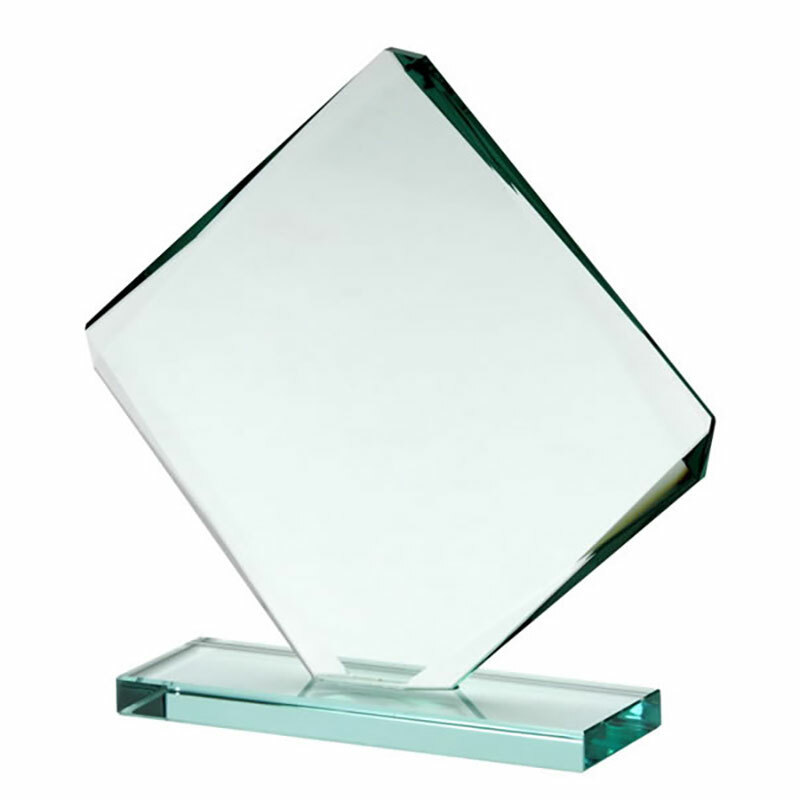 A distinctive flat glass plaque award in a cube shape design with faceted edges set on a matching jade glass base. These awards are suitable for a wide range of events and achievements, from sporting and arts to corporate and commemorative awards. They are 12.5cm tall with 10mm thick jade glass. The flat front is perfect for engraving and we offer them with low, fixed-cost engraving of text and free engraving of logos.